Now-a-days Indian Government is spending mind blowing amounts on the purchase of foreign weapons and other defence systems. No need to say, India became a favorite destination for foreign weapon manufactures – no matter whether it is fighter aircrafts, rocket launchers, missiles, submarines, tanks, radars etc. In India they are finding market for whatever they have. As we moved from the socialist era to liberalized era (as someone pointed out; we can call this era as ‘half baked capitalism’, not fully there and not fully here) India opened her doors for everyone – which was until then favored the socialist weapons. Leaders know that we can’t fully rely on foreign weapons forever – in fact no country can. Not only because of the fact that the flow of money in the case of big ticket purchases are very high but also to make sure that we have to reach a stage where we can go on our own. But the recent activities in this area don’t offer much hope, at least for the near future. In order to analyze this situation we can take a look on the development and production of Advanced Light Helicopter (ALH) by Hindustan Aeronautics Limited (HAL) and the recent CAG report of it. 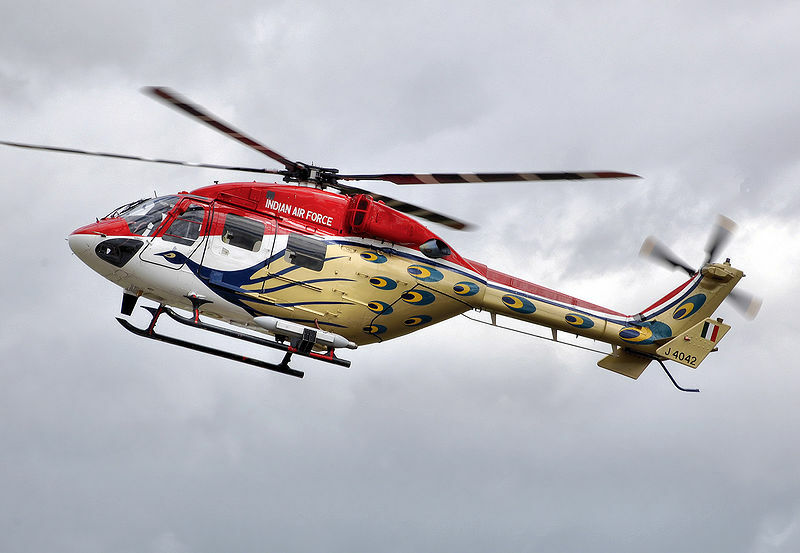 ALH, weighting 5.5 tonne, is a multi- role, multi mission helicopter fitted with two ‘Turbomeca’ TM 333 2B2 engines. The design started in 1984 and collaboration agreement was signed on 1984 (terminated in 1994 even though certain systems not developed, validated and integrated by that time), and five prototypes of basic version which was supposed to be certified in 1994 actually certified in 2003. 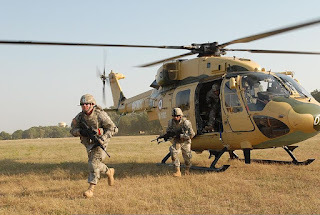 More interesting thing is that the technical requirements finalized in 1979 by Army and Air force were not fully achieved and even now and the 74 helicopters supplied to the services are flying with concessions. Problems started from the beginning itself (Its ok at that time as HAL is newly entering to the ALH world). Against the consultant’s advice for freezing the final design for successful implementation of product, company went on for open design phase- which they later defined as ‘concurrent Engineering Philosophy’. This led to 363 modifications carried out in 34 helicopters, and faced a large number of design problems during manufacturing. Apart from the design problems Advanced Light Helicopter turned out to be a heavier one. Earlier it was expected that the gross weight of basic version will be of 4 tons (Basic Empty Weight (BEW) of 2.24tones - BEW expected for TM 333 engine fitted in ALH was 2.55 tones) but in field (March 2002) it weighted 5.5 tones (BEW was 2.65 tones). Due to this over weight and limited engine power, the mission of 200 kg at an altitude of 6 km was not achieved. 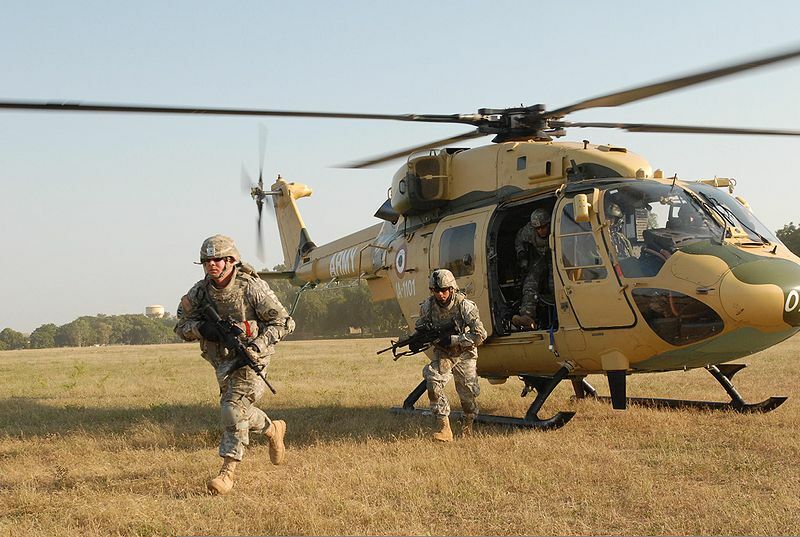 In order to meet the additional performance requirements for weaponized version of ALH, an agreement was signed with Turbomeca(TM) in 2003 for the development of high powered ‘Shakti Engine’ which was to be certified at France in 2006. It was planned that HAL’s work share (read as ‘Indigenisation’) will be increased from 16.7% in phase 0 in 2009-10 to 73% in phase 4 by 2013, but due the failure in the creating the in-house facilities for gearboxes ( to be used in ‘Shakti Engine’), HAL outsourced that to ‘Turbomeaca’. The delay in this program also mirrored in its certification process (yet to be certified) and subsequently in the postponement in the delivery of 20 ALH. In 1986 defence department observed that the ALH under development will be unsuitable in the attack role because of its overweight and volume. The Weapon System Integration (WSI) project was to be completed by 2003 is still in progress (as of Sep 2009). Selection of weapons, vendor were not addressed timely for the WSI integration project. As it didn’t meet its requirement Navy didn’t accept ALH in for Anti Submarine Warfare (ASW). 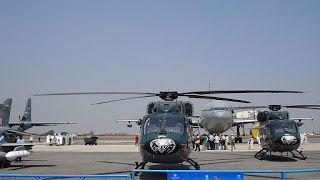 The delay in the delivery of the ALH will also affect the defence preparedness of the country as it was supposed to be the successor of aging Cheetah/Chetak helicopters. During the practice in Bangalore (2007 Feb 1) an ALH (J-4062) was crashed; another one delivered to ‘Ecuador Air Force (FAE)’ crashed in 2009. Reasons for these incidents are attributed to the problems in control saturation. This also led to the non-receipt of a possible export order from Chile. This will put a question mark in customers mind about the confidence in company and its products. ALH was supposed to be an indigenous product, but in the current one 90% of value of material is foreign against the recommended level of 50%. Indigenization is good; it will be the dream of every country to have in house production lines for advances weapons and to create a huge Military- Industrial Complex (MIC). But before going for indigenisation we have to do considerable amount of homework. First of all a delay of decades will make the product useless or outdated one. Problems will come for the first time but after two decades in development and considerable time in production the product is supposed to be stabilized – It can’t fly on concessions forever. When we are selling these products to the foreign customers, it’s our duty to make sure that; it is free of serious defects (if not all the defects). Otherwise it will affect not only create an adverse impact on the reputation of the producer but also affect the reputation of the country. Now we are investing the huge amount of money for defence purchases ranging from multirole fighter planes to sub marines and night vision Equipment – the list is very long. Can any one imagine the thousands of jobs (if not lacks) these programs can create in India, if we had in-house production capabilities for these weapons? In such a case the amount of money flowing to the public exchequer as tax and profit will reduce our budget deficit (it may even show a positive margin – if we are not going to host any other games in the way we organized 2010 Common Wealth Games). Whatever be the reason – recession, famine etc. - there will not be any reduction in the sails of weapons for a foreseeable future. For the success of all these programs we should have a clear view on what to do. 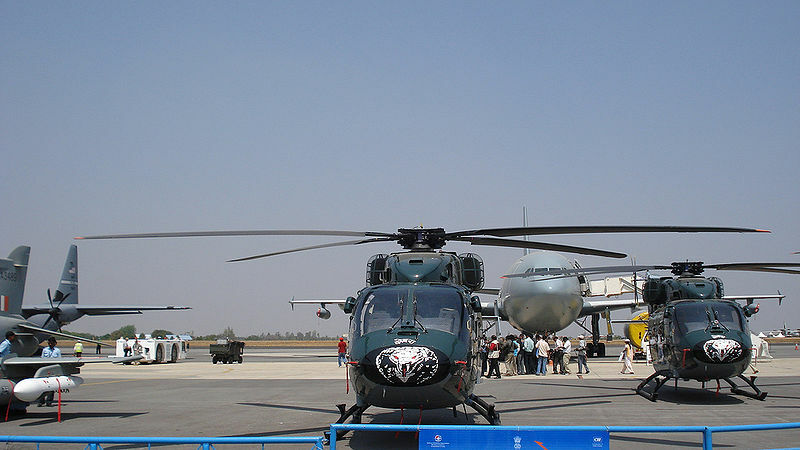 These types of helicopters (most of the defence products for that matter) already exist in the world with proven track records. We don’t have to reinvent the wheel. Instead bring the best brains in the industry and develop excellent training centers (not for the namesake) in the country. There will be many people in the foreign weapon production companies who will be ready to work for Indian companies if we are ready to offer considerable compensation and good opportunities in R&D. Hire them and train ourselves, the investment will not be a waste. Along with this remove all the restrictions on Indian private sector from entering the defence manufacturing industry. If the weapons we are manufacturing and using for critical purpose have considerable percentage (or full) of foreign parts, then what is the problem of having some parts from Indian players? This will not only result in the increment of efficiency but also transform our nation from a dumping ground for foreign weapons to that of a manufacturer and exporter level. Self reliance has more to do with character than science. Commonwealth Games: Can’t we wait some more time?